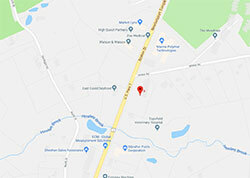 Do You Have a Massachusetts Dog Bite Case? Road Condition and Car Accidents: Who Is Responsible? 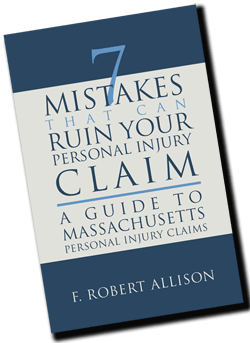 Who Will Pay Your Medical Bills and Lost Wages If You Are Injured in a Massachusetts Car Accident? Email Deemed Sufficient Written Notice Under a Commercial Lease? Can a Massachusetts Tenant’s Use of Property Defeat a Warranty of Habitability Claim? Measuring Damage to Animals: How Much is Your Dog Worth? Is There an Exception to The Statute of Repose? Life After Death: Do Lawsuits Survive the Death of a Party? Can A Text Form A Contract? Does a Pharmacy Have a Duty to Help Get a Prescription Filled? Crosswalks & Jaywalkers: Can Massachusetts Law Catch Up? Can a Meatball Be Unreasonably Dangerous? Is Immigration Status Discoverable In A Claim For Lost Wages? What is required to file a tort claim against a public employer? Car Rental Insurance: Yes or No? How Do You Prove a Defective Design Case in Massachusetts? Is the Mode of Operation Rule in Massachusetts Limited to Self-Service Businesses? When You Fall Down a Stairway Can You Pursue a Slip and Fall claim?